Fourth Annual International Cryptozoology Conference (#CzCon2019). 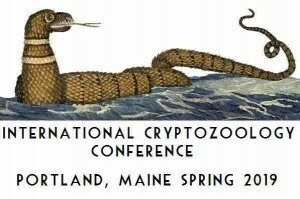 The nonprofit, 501(c)3 ICM will hold our ICC2019 at the Clarion Hotel and the International Cryptozoology Museum at Thompson’s Point, in beautiful coastal Portland, Maine, on April 26, 27, and 28, 2019. The conference will occur over three days, featuring talks from leaders in the field, the sale of unique items and goods from specialized vendors, as well as an opportunity to network and expand your knowledge in the amazing field of cryptozoology. The conference expands to parts of three days in a venue we have used before, nearby the Museum. The speakers’ area will be in the main ballroom, in one room all the vendors will be located, and the location will have easy access to all of the products, book signings, and other conference displays – as well as a short walk to the International Cryptozoology Museum. All our vendors are in one location this year. And so are the tea/coffee (almond milk) and snacks. See link here. The speakers will be open-minded and skeptical researchers, and authors well-versed in cryptozoology, as well as cryptozoology filmmakers who will talk about their films. 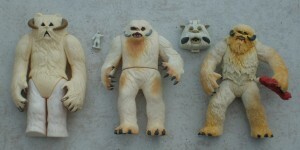 The topics will cover Bigfoot, Yetis, Thunderbirds, Classic Animals of Discovery (e.g. tapirs), Eyewitness Accounts, Footcast Evidence, New England Sea Serpents, New Species, Young Cryptozoologists, Giant Snakes, Thunderbirds, Folklore, Interactions With Cryptids, Fortean Investigations, and more. The location of the conference is the Clarion Hotel, Portland, Maine (PWM). SPEAKERS WILL APPEAR FOR A BRIEF MEET & GREET. The location of the conference is the Clarion Hotel, Portland, Maine. 8:00 AM – 8:45 AM Vendors/Speakers tables set-up. No attendees admitted. 8:45 AM – 9:30 AM – Doors open, vendors/speakers tables open. The International Cryptozoology Museum at Brick North, Thompson’s Point, opens at 8 AM, closes at 6 PM today. All paid conference attendees have free admission to the Museum, all weekend long. Pre-choice and pre-pay $10 for your lunch, your choices are vegan and turkey sandwiches + chips, for bag lunch, + $2 for drinks, from 8:00 AM to 9:30 AM only. Delivered to you at Noon, or lunch on your own locally. 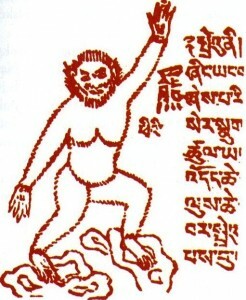 9:30 AM – 10:00 – Lija Fisher, Cryptid Catcher. 12:00 Noon – 1:00 PM – Pre-paid bag lunch, lunch-on your own. Noon session by Dawn Prince-Hughes cancelled. 5:00 PM – 6:30 PM – Light supper at Clarion, or on your own. 6:00 PM – Vendors close. 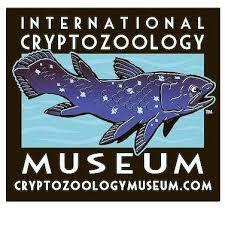 The International Cryptozoology Museum at Thompson’s Point remains open until 6:00 PM. 7:00 AM – 9:00 AM – Breakfast at the Clarion or elsewhere. At your own pace, on your own. 9:00 AM – 9:30 AM. 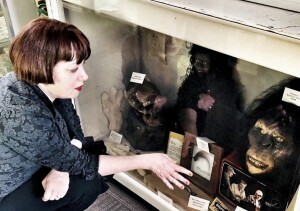 Loren Coleman, Cryptozoology Museums, Conferences, and More. 10:30 AM – 11:00 AM – Last chance with the vendors, speakers. Last chance for coffee/tea/almond milk/donuts/brunch-style snacks. 11:00 AM – 12:00 Noon – From France, Michel Raynal, 1819: The First Tapir. Noon – The Museum will be open through 5 PM, for more viewing, and picking up souvenirs. Afternoon in Portland, Maine. Suggestions on your own: Searching for Casco Bay Sea Serpents, lighthouses, lobster shacks and other tourist sites. End of Conference. Goodbyes and safe journeys. 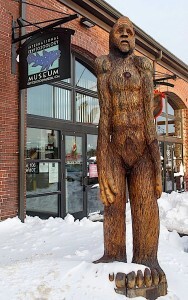 International Cryptozoology Museum, Brick North, remains open until 5:00 PM, for souvenirs and gifts, as well as visits. Beginning November 1, 2018, the new Executive Director of our 501(c)3, federal and state nonprofit Museum is Jenny W. Coleman of Portland, Maine. Jenny Coleman has been interested in cryptozoology since she was six years old, when her reading revealed a curiosity about the recorded sightings of the Loch Ness Monsters. 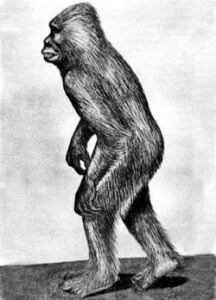 This lead to a generalized interest in cryptozoology, which resulted in her correspondence with, and eventual marriage to a well-known cryptozoologist. For the last five years, in an informal apprenticeship, Jenny Coleman has worked behind the scenes at the Museum, organizing, curating, and maintaining the museum exhibits and off-site archives. She has served on the Board as a Director, been instrumental in the relocation of the Museum to Thompson’s Point, and worked in a frontline capacity at the institution. 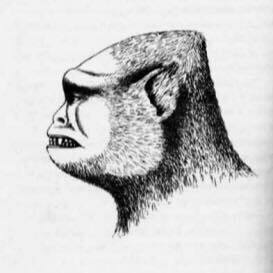 Jenny was the editor of the first International Cryptozoology Society Journal. Jeff Meuse is the Assistant Director of the International Cryptozoology Museum. Meuse’s passion for cryptozoology began on the North shore of Massachusetts, with the Nahant Sea Serpent. Decades later, a dream came true allowing him to become a part of the world’s only cryptozoology museum. Whether it be the ancient ruins of Chichen Itza or the murky depths of Lake Champlain, Jeff Meuse has investigated cryptids at every opportunity. Today, Jeff and his family reside on the shores of Maine, on the constant look out for a sea serpent to breach the surface. 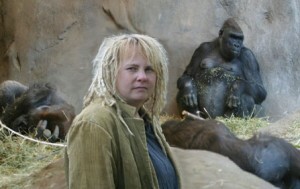 Dawn Prince-Hughes, the author of Songs of the Gorilla Nation, has had to rearrange her schedule due to her book being made into a movie. Anna Nekaris, Ph. 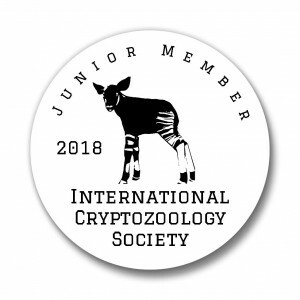 D., was named the Cryptozoologist of 2018 by the International Cryptozoology Society. She have discovered a number of new cryptic taxa, and until to date, has named or elevated from subspecies or provided key field data to validate the naming of two slender loris species, one galago species, one galago genus, and seven slow lorises (with potentially more to come). 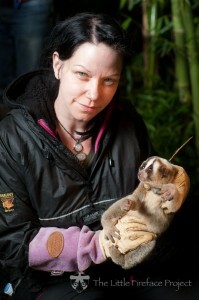 Professor Anna Nekaris is a Professor at Oxford Brookes University in Anthropology and Primate Conservation studying the unique group of evolutionary distinct primates known as the Asian lorises. Tim Binnall is the news editor for the Coast to Coast AM website as well as the host of the pioneering paranormal podcast Binnall of America. For more than a decade and over the course of hundreds of BoA programs, he has interviewed a vast array of researchers, spanning a wide spectrum of paranormal genres and ranging from bonafide esoteric icons to up-and-coming future players in “the field.” A graduate of Syracuse University, Binnall aims to maintain an outsider’s perspective on the paranormal world with a distinct appreciation for its absurdities and a keen interest in the personalities and sociology of esoteric studies. 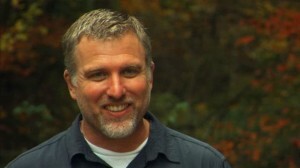 Cliff Barackman, one of the hosts of Finding Bigfoot, was born and raised in Long Beach, California. Throughout his youth, his interests were drawn towards both the physical and biological sciences, as well as music. 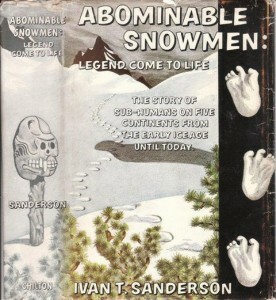 It was in college that Cliff’s interest in Bigfoot moved from a quirky interest to an obsession. Cliff started camping with the singular purpose of doing Bigfoot research. On his first expedition to Bluff Creek, California in 1994, he stumbled across possible Bigfoot footprints, and other evidence. 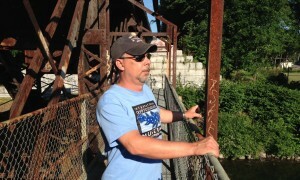 Cliff’s interest in physical evidence led him to take a keen interest in track casts. Over the years, what started out as the gathering of a few Bigfoot souvenirs has eventually led him to holding one of the largest cast collections in the country. In 2019, he will announce the opening of a West Coast Bigfoot museum. John E.L. Tenney, the author of over a dozen books, is one of the most well-recognized and highly sought-after investigators of Fortean and unexplained phenomena in America. Tenney has been actively involved in the field of anomalistic, conspiratorial, occult and paranormal research for almost three decades. It is estimated that, over the past 28 years, more than 85,000 people have attended one of John’s signature “Weird Lectures.” John E.L. Tenney’s columns and articles have been printed in magazines and newspapers world-wide, and he has lectured to numerous public and private schools, universities, organizations and clubs. 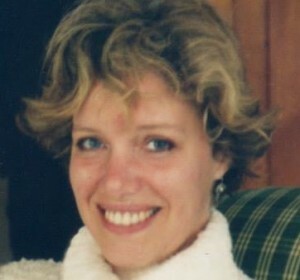 Lija Fisher, the author of The Cryptid Catcher and The Cryptid Keeper, was born in Istanbul, Turkey to American Peace Corps parents and raised in the Rocky Mountains of Colorado. 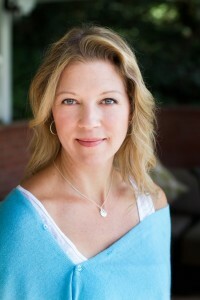 She received her BFA in Performance Studies from the University of Colorado, Boulder and has lived in London, LA, and NYC. She’s performed on stages across New York, California, Florida, Colorado and Alaska where she was chased by a bear. When not being hunted down by local wildlife, you can find her writing at a cozy coffee shop or disappearing into the mountains for a hike. She currently lives in Colorado but dreams of residing in a castle where she is tended to by knights in shining armor or manly Vikings. Either would be fine. Andy Matzke was on the youth panel at the 2017 conference, and grew up working closely with his father Mark on various cryptozoology projects. He has a unique perspective on growing up cryptozoologically. 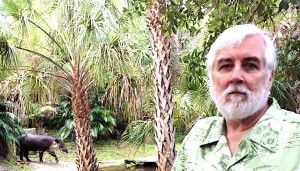 Ken Gerhard is a widely recognized cryptozoologist and field investigator for several research organizations. Born on Friday the 13th of October 1967 (exactly one week before the famous Patterson Bigfoot footage was shot), Ken has traveled to twenty-six different countries on six continents and has visited virtually all of the United States. An avid adventurer, he has camped along the Amazon, explored the Galapagos, hiked the Australian Outback and has visited many ancient and mysterious sites, from Machu Pichu to Stonehenge. 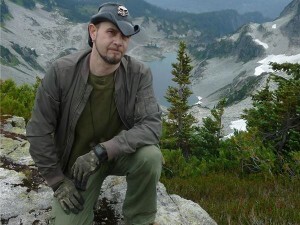 In addition to co-hosting the History Channel TV series Missing in Alaska, Ken has appeared in several television reality series. Ken is an author and has contributed to trade publications including Fate Magazine. He currently lectures and exhibits at various conferences and events across the United States. His books include Big Bird: Modern Sightings of Flying Monsters, Encounters with Flying Humanoids, and A Menagerie of Mysterious Beasts. He is the co-author (with Nick Redfern) of Monsters of Texas. 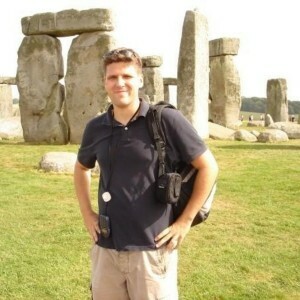 Jeff Belanger (born August 8, 1974) is an American author, public speaker and paranormal investigator. The Emmy-nominated host, producer, and writer of New England Legends on PBS and Amazon Prime, is also the co-host and producer of the popular New England Legends Podcast, the writer and researcher for 15 seasons (so far) of the Ghost Adventures show on the Travel Channel, and the host of the widely popular Web and cable talk show 30 Odd Minutes. 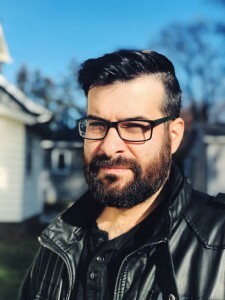 Jeff Belanger is the author of Weird Massachusetts, Ghosts of War, Who’s Haunting the White House?, and a dozen other books that have been published in six languages. 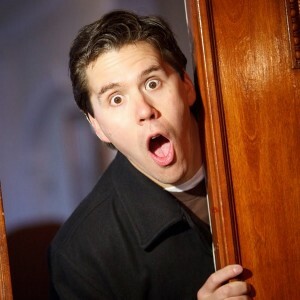 He is a comedian on stage, and recognized author on New England folklore. Mark Matzke was born in Decatur, Illinois, and from the Midwest, grew interested in Bigfoot and other beasts. He emceed the International Cryptozoology Conference of 2017, and is returning in 2019 to give a talk. 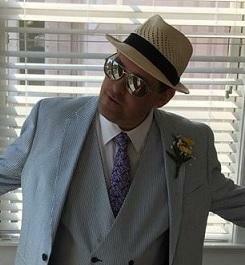 He was the host of SasWhat and has written some of Small Town Monsters scripts and written material. 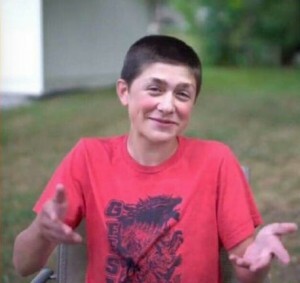 He is a practicing pastor. Seth Breedlove is an Ohio filmmaker. He has written, edited, produced and directed shorts and features about a variety of topics but is best known for his production company and the films. In 2013, Breedlove began working on the concept for a series entitled Small Town Monsters. In general, he set out to capture true accounts from tiny communities often forgotten by the larger media outlets, and from the era (1960s and 1970s) of high intensity monster encounters, by interviewing the original witnesses and re-creating/re-discovering elements of the cases at the ground level. His series of documentaries include Minerva Monster (2015), Beast of Whitehall (2016), Boggy Creek Monster (2016), The Mothman of Point Pleasant (2017), and Invasion on Chestnut Ridge (2017). In 2018, Seth wrote and directed The Flatwoods Monster: A Legacy of Fear and produced On the Trail of… Champ, a five episode mini-series, and then moved on to The Bray Road Beast. 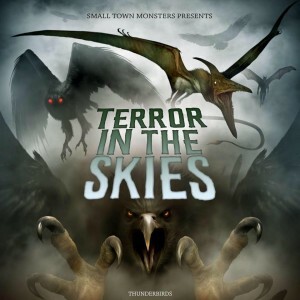 During late 2018, he began work on Terror in the Skies, Momo, and others. Michel Raynal (born 1955), France’s foremost cryptozoologist, is a French computer scientist, active in the field of distributed computing. He has been a professor at the University of Rennes since 1984. 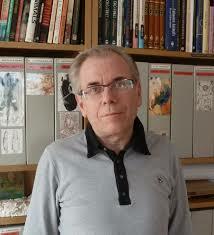 Raynal founded and developed the award-winning website, Virtual Institute of Cryptozoology. He has written some of the seminal works on giant squids, the discovery of tapirs, and other important historical topics in cryptozoology. June Pusback O’Neill has worked as an administrator in higher education (New York University), television (Walt Disney Company), and advertising (J. Walter Thompson Agency). Growing up in the playground of Sea Serpents, in Swampscott Massachusetts, she now lives in Katonah, New York, with her family and golden retrievers. In her book, The Great New England Sea Serpent, J.P. O’Neill draws on the historical record as well as previously unpublished first-hand accounts to chronicle more than 230 sightings of the mysterious marine creatures inhabiting the Gulf of Maine. Bill Darmon, the cofounder of Mandate33/Bright Rectangle, is the Boston-area filmmaker behind the introduction video for the Museum, indie feature film The Hill and the Hole, and forthcoming documentaries on The Rebirth of Pan and Fortean mysteries. Loren Coleman is the founder and director of the museum, having collected for almost six decades the cryptozoological components and contents of the physical museum. He is a world-renowned expert in the field, author/coauthor and contributor to over 100 books in cryptozoology and a frequent on-air interviewee and consultant. 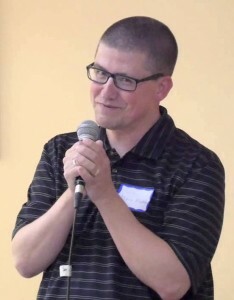 Coleman was a full-time researcher at the University of Southern Maine’s Edmund S. Muskie School for Public Policy for 13 years, as well as an adjunct assistant and visiting associate professor for over 20 years at USM and five other New England Universities. He lives in Portland, Maine, and besides sharing and curating his collection-on-loan, he continues to travel extensively to lecture on and investigate cryptids. Today, he is the Director Emeritus and President of the Board of Directors for the Museum. During January 2019, Coleman appeared in three new episodes of Mysteries at the Museum (to add to the dozen other previous appearances). Later in 2019, he will be in a new surprise documentary from Warner Brothers, and on a new cryptozoology series on the Travel Channel. The tickets are on sale NOW via EVENTBRITE HERE. The conference is April 26th through April 28th, 2019. You can stay anywhere you wish and attend the conference. If you would like to stay at the hotel closest to the Conference and Museum, we are recommending the Clarion Hotel, 1/4 mile away. Some hotel booking sites may have room rates at cheaper rates, and you are welcome to reserve your rooms via them. Our group rate deadline has passed. There is a 10K road race in Portland this same weekend, and rooms are booking fast. Or use the online link here. 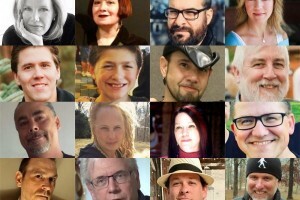 Speakers at the 2018 conference.